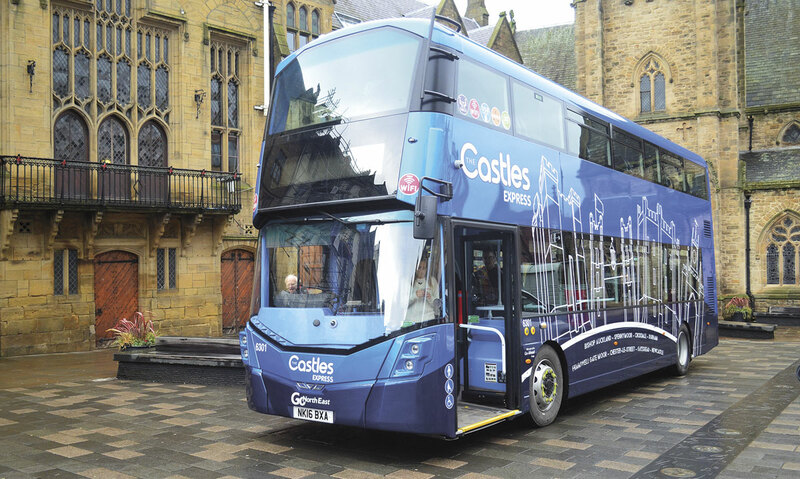 Passengers on their local bus are ‘generally content’ with their service, according to Transport Focus’ latest survey, with 86% reporting to be satisfied. This was a slight decrease on last year’s result of 87%. However, the survey of over 40,000 passengers by the independent watchdog found value for money ratings and satisfaction with punctuality vary widely across the country. Fare paying passenger satisfaction with value for money ranged from 41% to 80% (averaging 63%) with a gulf of 39% between the highest and lowest area scores. Satisfaction with punctuality ranged from 64% to 84% (averaging 75%), down from the 2014 figure of 77%. Overall satisfaction by area was: Transport for Greater Manchester (82%), Merseyside (89%), South Yorkshire (85%), Tyne and Wear (88%), West Midlands (85%), West Yorkshire (87%), Tees Valley Group (90%), West of England Partnership (89%), Blackpool (89%), Devon (89%), East Sussex (88%), Essex (79%), Gloucestershire (91%), Kent (83%), Lancashire (86%), Luton (86%), Milton Keynes (81%), Norfolk (89%), North East Lincolnshire (90%), North Yorkshire (94%), Nottinghamshire (94%), Oxfordshire (88%), Staffordshire (89%) and York (90%). One of the top performing operators in the report was Go-Ahead, with 89% overall passenger satisfaction. 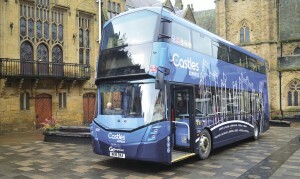 Here is one of the company’s latest developments, the new Castle Express brand in Go North East’s network. Topping the figures for overall satisfaction with bus journeys amongst the ‘big five’ operators were Arriva and Go-Ahead, both at 89%. FirstBus achieved 84%, National Express 85% and Stagecoach 86%. Overall satisfaction scores for other operators were: Abellio in Surrey (83%), Blackpool Transport (89%), Diamond Bus in West Midlands (87%), Hedingham and Chambers (86%), Konectbus (96%), Metrobus (89%), Oxford Bus Park and Ride services (92%), Reading Buses (93%), Thames Travel (89%) and trentbarton (96%).